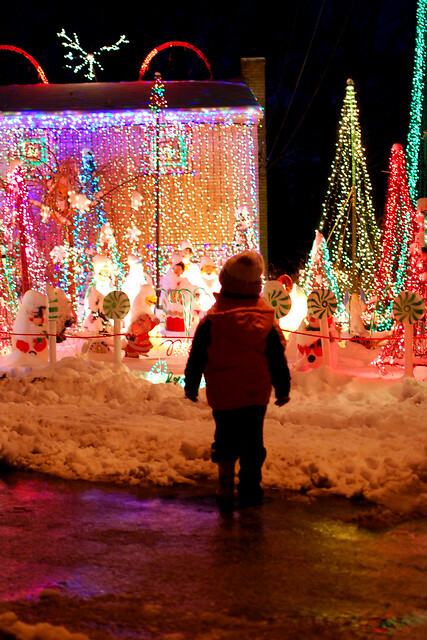 They're up to 260,000 animated lights over at the crazy lights house. We had to go take a look. We watched. We danced. We took pictures. We went home and turned on all 300 of our lights on the front porch railing. And we can't wait for next year.